Classic comfort for the men! These comfortable mocs feature original, proprietary prints or solid Acorn Comfort Fleece uppers. 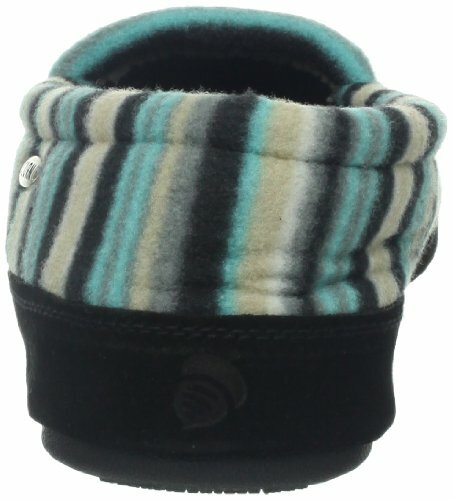 They're fully lined in a cozy microfleece that quickly wicks moisture away from your skin. Featuring a lofty Acorn memory-foam midsole over a comfort cushion layer of featherweight EVA. In addition, the enhanced, raised heel and arch add extra stability and support. Non-slip, weatherproof soles make them perfect for indoor/outdoor use. Cozy up in the optimal warmth and extreme comfort of Acorn's Polar Moc slipper. The fleece upper and full linings offer unbeatable insulation, while the specialized insole features supportive padding and the rubber outsole can endure light outdoor wear.